John T. Fitzgerald will join the University of Notre Dame’s Department of Theology this fall, according to J. Matthew Ashley, associate professor and department chair. 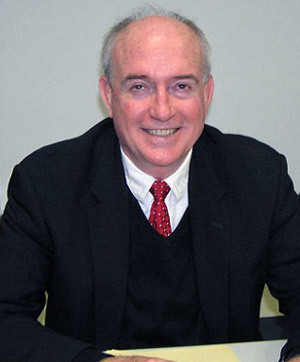 Fitzgerald has spent the past 31 years at the University of Miami, where he served most recently as chair of the Department of Religious Studies. His work includes nine books as an author, translator and editor as well as more than 50 articles and approximately 170 book reviews and book notes. An active member of the Society of Biblical Literature, Fitzgerald has a joint appointment as Professor Extraordinary at North-West University School for Biblical Studies and Bible Languages in Potchefstroom, South Africa, and has been a visiting professor at both Brown and Yale universities. Among the areas Fitzgerald is currently researching are the role of friendship in the spread of early Christianity, the economy — including issues such as the attitude of the church and the government regarding unemployment — and domestic violence in antiquity. Fitzgerald will teach two introductory classes for undergraduates in his first semester here. A former football player, he plans to reference the gridiron in his courses — in particular, the 1988 match-up between Notre Dame and Miami. Famously dubbed “Catholics vs. Convicts,” the game is now considered one of the greatest victories in Fighting Irish football history. Originally published by Sara Burnett at al.nd.edu on Aug. 16, 2012.